It began with a wholesale lens manufacturing business supplying optical stores and optometrists. In 1986 we began selling direct to the public with our first store, and today LF Optical has five convenient locations across Toronto. 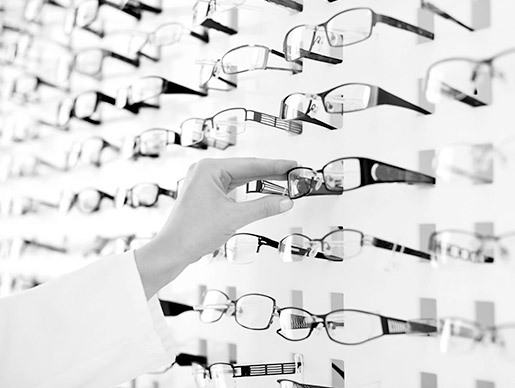 When you visit any one of our locations you’re greeted by patient, knowledgeable staff who can help you find the perfect eyeglasses or sunglasses. Our family owned and operated business manufactures and supplies prescription eyewear from virtually every designer brand. This adds up to a massive collection with thousands of frames to choose from at each store. If you can’t find what you’re looking for, we can order most current models available in the Canadian market. We also carry lenses from every major supplier, including Zeiss, Seiko, Essilor, Nikon, Sola and Kodak. These lenses are the most advanced on the market, and because we manufacture everything onsite we can offer them at wholesale direct prices. Visit any of our stores in Toronto to find luxury models and boutique lines by Giorgio Armani, Coach, Ray Ban, Versace, Marc Jacobs and many more. Need your glasses repaired or adjusted? What about help finding the perfect frame for your face shape? We can help with that and a lot more.